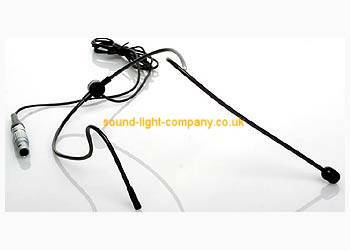 Headworn Noise Cancelling Microphone with Omnidirectional pickup pattern. Fitted with JACK Plug. The Trantec SJ10s lightweight head-worn structure and capsule design ensures the user experiences freedom of movement at all times - making the SJ10 the perfect solution when highly intelligible speech is a must, such as in speech-making or lecture theatre situations. The headband is made from an extremely hard wearing nylon composite. Which will withstand the most robust work out and yet can be returned to its original shape. Designed to be worn round the back of the head and under the hair line, this headset will stay in place for long periods and give the wearers the comfort they require, eliminating that awful sensation of still wearing it once it has been removed.